Does anyone know the official name of the 4-poled structure in the middle of the image below (of a cover of a volume of the Talmud)? I'm pretty sure that this 'structure' has a name, but my intense googling yielded no results, so I posted here. Just curious. I've always heard it called the "Sha'ar Vilna". Sha'ar means "gate" in Hebrew. As some searching resulted, the image is called Shaar Blatt (שער בלאט or literally gate page), and it was the cover page of the original Vilna edition of the Babylonian Talmud by Romm. As Salamon's Temple had two big pillars (Boaz and Yakhin) and the ark of the Great and the Choral Synagogue in Vilna had a different design, it might be an allegory to the 50 gates of understanding described on Rosh haShanah 21b. Not the answer you're looking for? 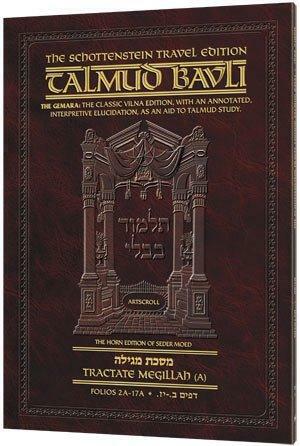 Browse other questions tagged talmud-gemara talmud-bavli pictures .